I hope everyone is having a wonderful holiday season! Thank you for reading Roseofbohemia.com. I am taking a short break to focus on some other projects, but I look forward to seeing you all again next year. May 2013 bring many wonderful things. HAPPY NEW YEAR! 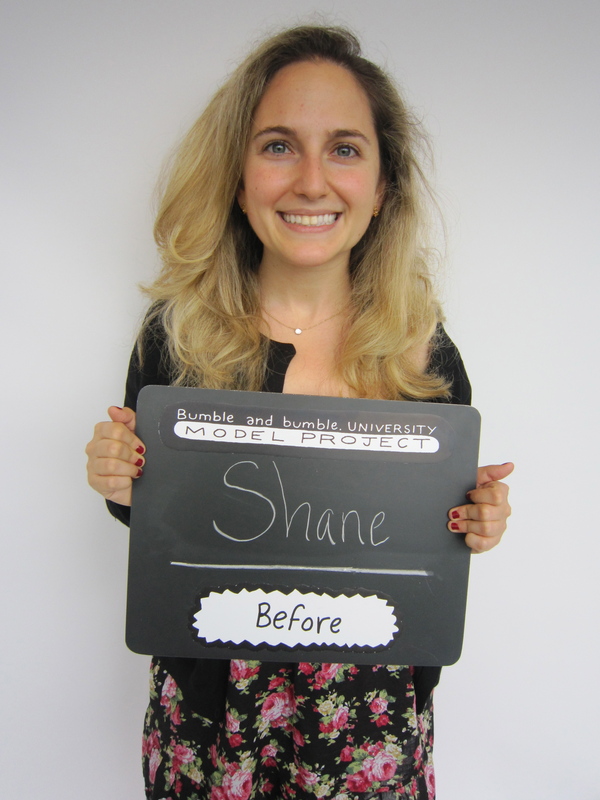 I recently got a free blow dry at Bumble and bumble’s hair school, Bb. University, as part of the Bb. U Model Project. All services at the Bb. U Model Project are free of charge. Models also receive a $10 product credit for each styling session they attend, so I was excited to not only get a free blow dry, but also Bb. products to try! Bb. University is located in a large industrial space in the Meat Packing District. Upon entering, I was impressed by the sleekness of the facilities and the floor-to-ceiling windows, which offered stunning views of the surrounding area. The school was actually fancier than most salons! In order to enroll in the Bb. U Model Project, potential models must attend a model call, where their hair type is assessed to determine if they are appropriate for upcoming classes. If so, the models can get free haircuts and/or styles (Bb. 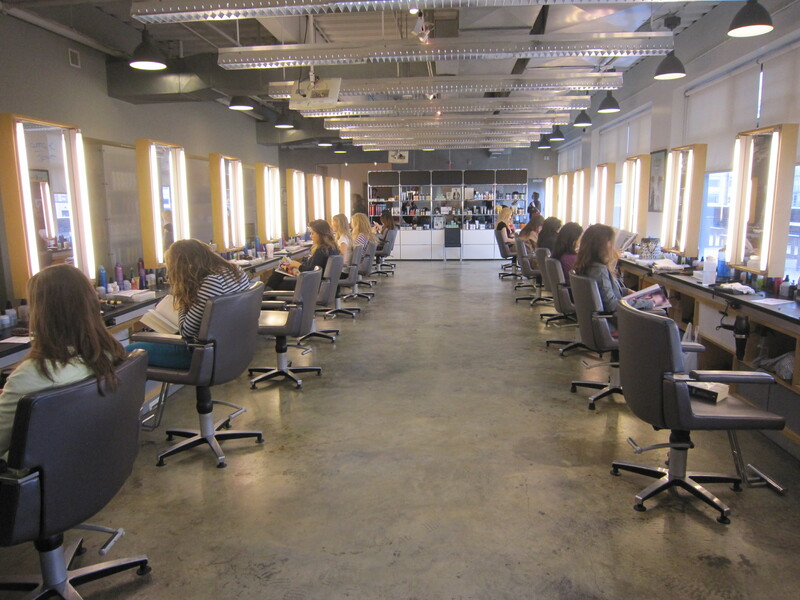 University also offers free coloring, but models have to get a free haircut first). After my assessment, I was offered the Long Layers Razor cut and several styling services such as a Round Brush Blow Dry, Flat Brush Blow Dry, or an Updo. 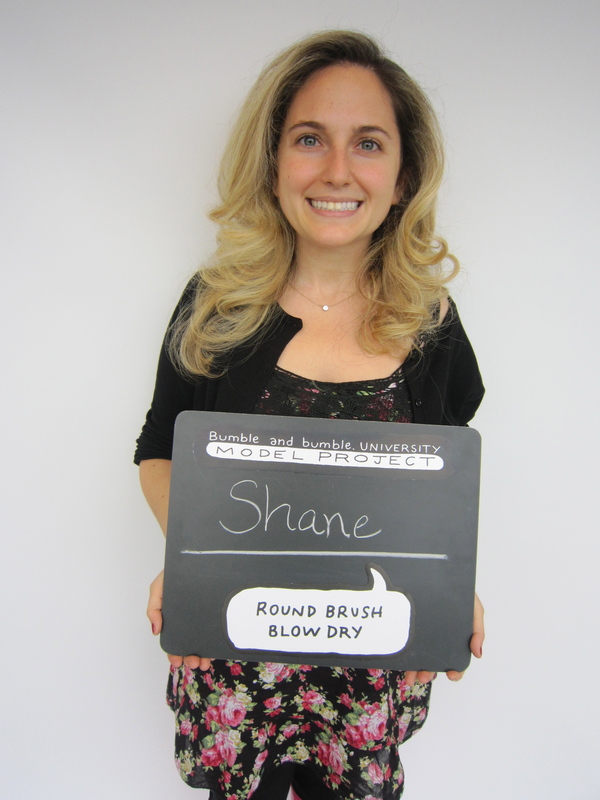 I opted for a Round Brush Blow Dry, since I usually have my hair blown out with a flip at the end. Upon arriving for my styling session, I was given a Hairmiles Booklet and one Hairmiles sticker as part of the Hairmiles Frequent Stylers Club, which is an incentive program that rewards models with Bb. product credits once they accumulate enough Hairmiles. At the beginning of the class/styling session, I met with an educator (a Bb. stylist) and my student stylist, Paula, who evaluated and discussed my hair type. 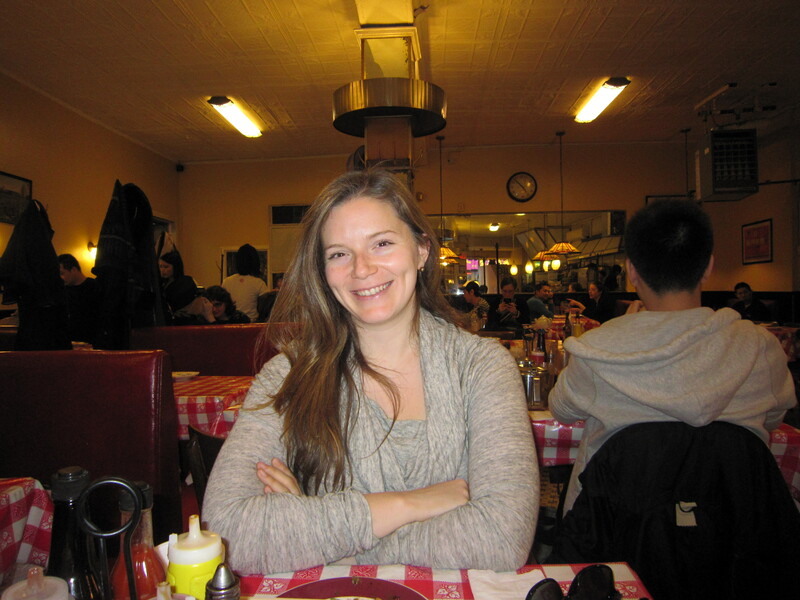 Paula was friendly and also very experienced, since all of the students at Bb. University are licensed hair professionals with a minimum of two years experience (the program is the equivalent of graduate school for hair professionals). 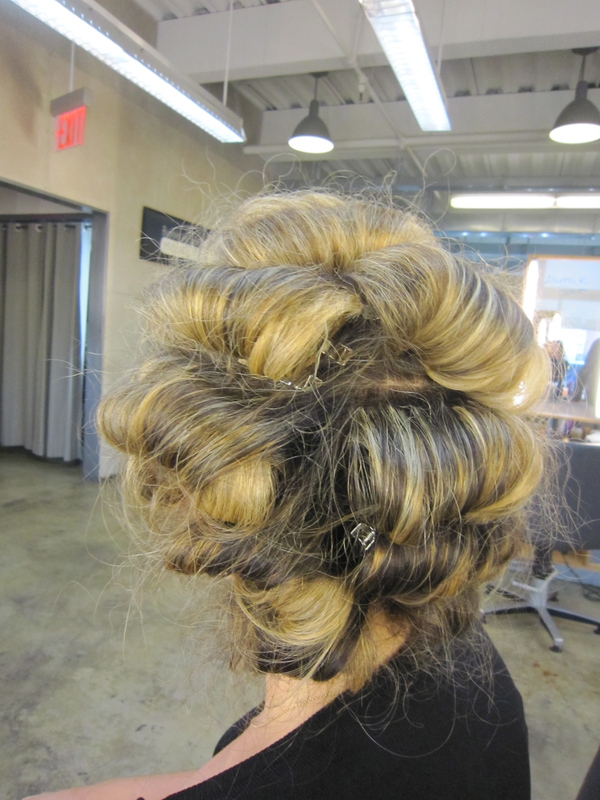 Paula works at an upscale salon in the South and was visiting NYC to attend the two-day styling workshop. Paula washed my hair, blow-dried it, and then methodically wrapped it in loops and pinned them around my head. While I have had my hair blown out many times, I have never experienced such an intricate procedure. The process was longer than I am used to (about 1.5 hours), but at the end result was the most voluminous hair I’ve ever had. 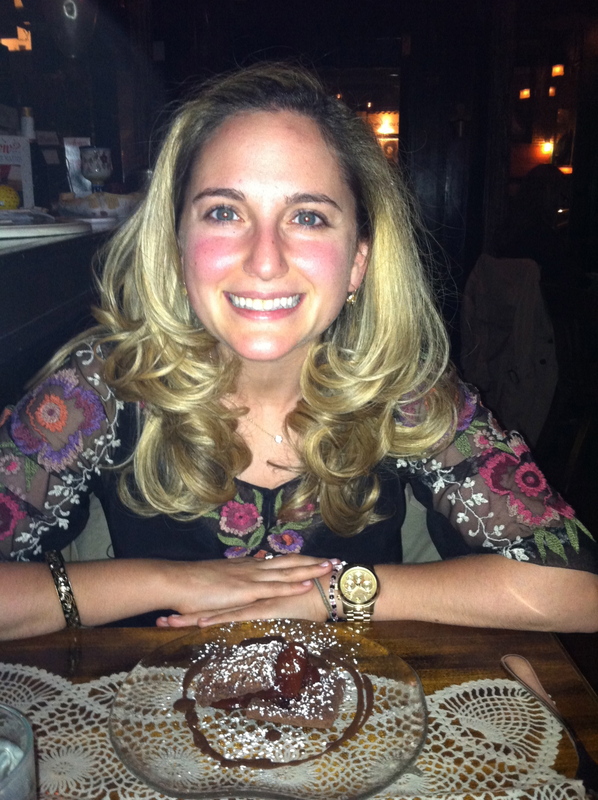 I don’t think the after photo shows just how full and glamorous it was…I felt like I was ready for the Oscars! At the end of the session Paula wrote down Bb. product recommendations for my hair type and notes on how to use them. The only downside to the Bb. U Model Project is that I had to wait between my assessment and my styling session, since the Round Brush Blow Dry class was not offered for several weeks (however, I did receive emails whenever there were openings for other styling sessions). On a related note, Bb. U is only open during weekday business hours, so the program works best for people with flexible schedules. Based upon the price (free! ), the professional level of styling, the gorgeous facilities, and the incentives program, I would definitely recommend participating in the Bb. U Model Project. I look forward to trying more styles and maybe even a cut in the future! If you are interested in participating in the Bb. U Model Project, please visit www.bbumodelproject.com for more information. Happy styling! Polka dots – this classic print is featured in the windows of the more feminine and conservative stores (Kate Spade, Ann Taylor, etc…). Autumn tones – forest green, camel, orange, deep red, burnt sienna, and brown are the oh, so seasonally appropriate colors for everything from shirts to pants. Fur vests – I am m not in love with this look, but they are all over. Leather, leather, leather – Leather EVERYTHING! Leather jackets, particularly motorcycle jackets are super hot right now, as are leather pants, leather skirts, leather tops, etc…. Studding – studded shoes, studded bags, studded shirts, studs continue to be omnipresent! Animal prints – not my taste, but still popular for shoes and bags. 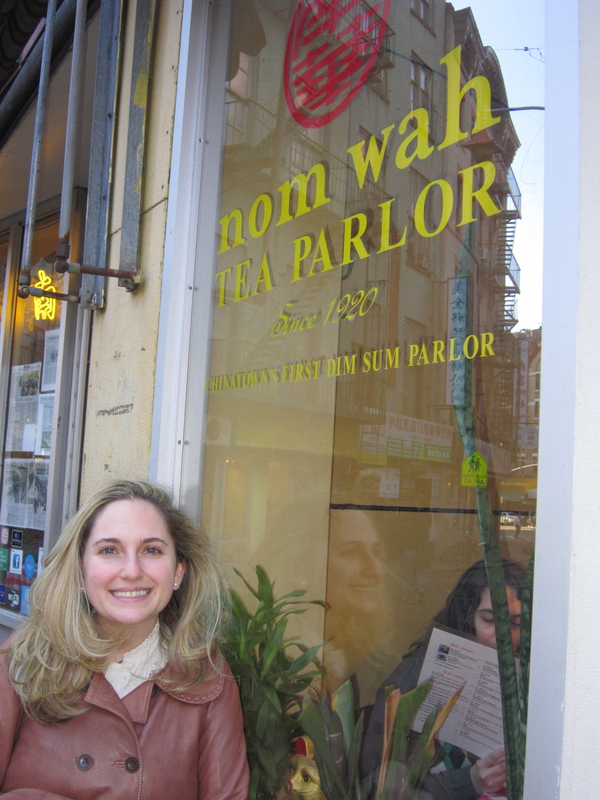 I recently went with my cousin to the Nom Wah Tea Parlor in Chinatown for a late lunch. 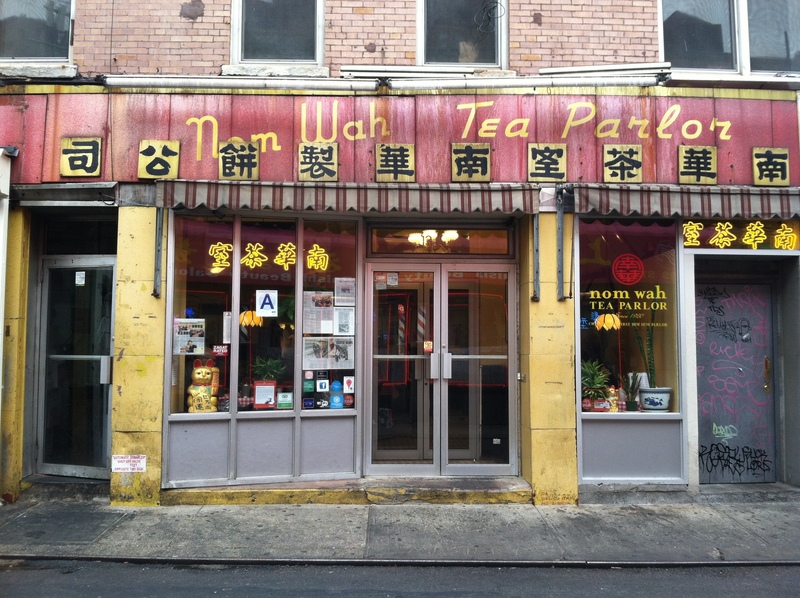 Nom Wah has been in business since 1920 and was Chinatown’s first dim sum parlor. I wanted to try Nom Wah since I saw the restaurant featured on a show about small business owners in NYC (gotta love the NYC channel!). 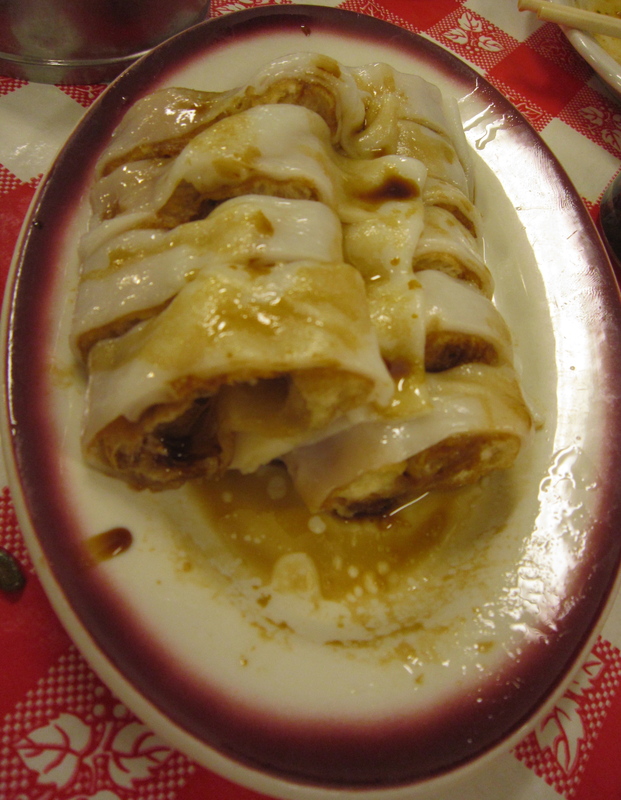 Nom Wah was recently taken over and renovated by the owner’s twenty-something year old nephew, but he kept all of the traditional accents, like the antique register and formica bar and stools. 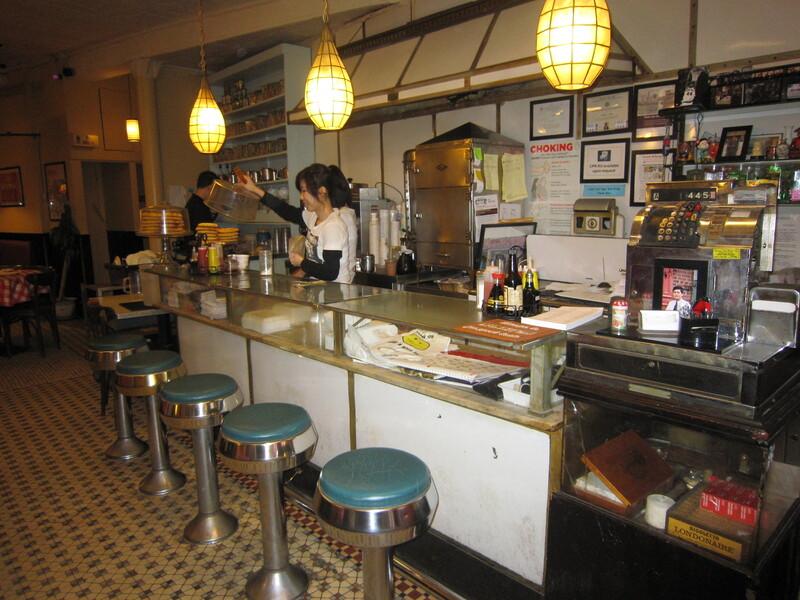 The restaurant’s decor was cute and old fashion. Upon arrival we were given laminated menus with photos and a paper checklist to select what we wanted. The menu identified vegetarian dishes and even gluten free. Almost all of the plates were $3.50, although the vegetable plates were $7.95. Tea was $1 to $1.50 per person depending on the flavor. Love the antique cash register! 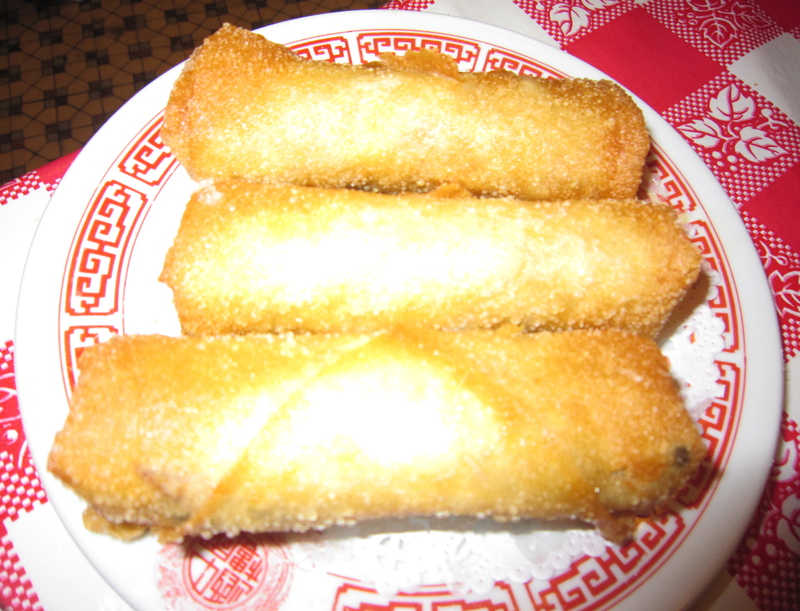 Egg Rolls – I don’t usually like egg rolls that much, but they are a house specialty, so we ordered them and they were really good! 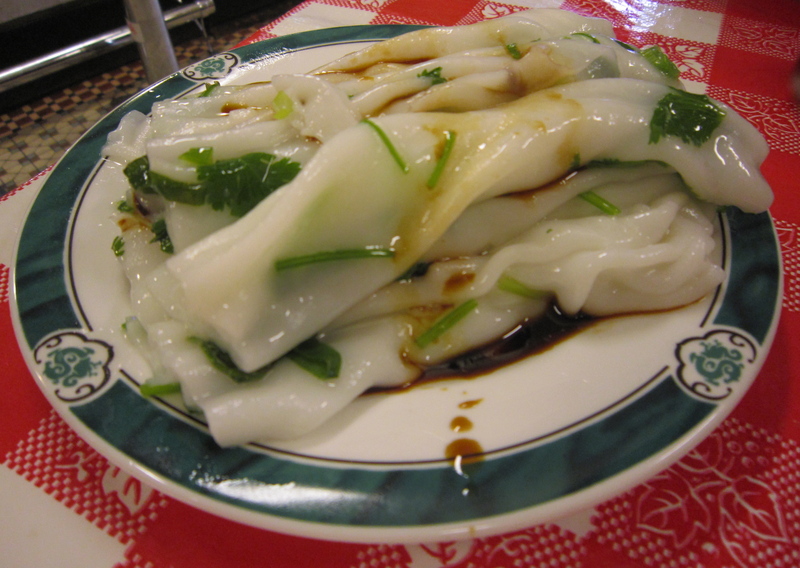 Vegetable Dumplings – These were actually my least favorite of the dishes. There was a vegetable I didn’t love inside. 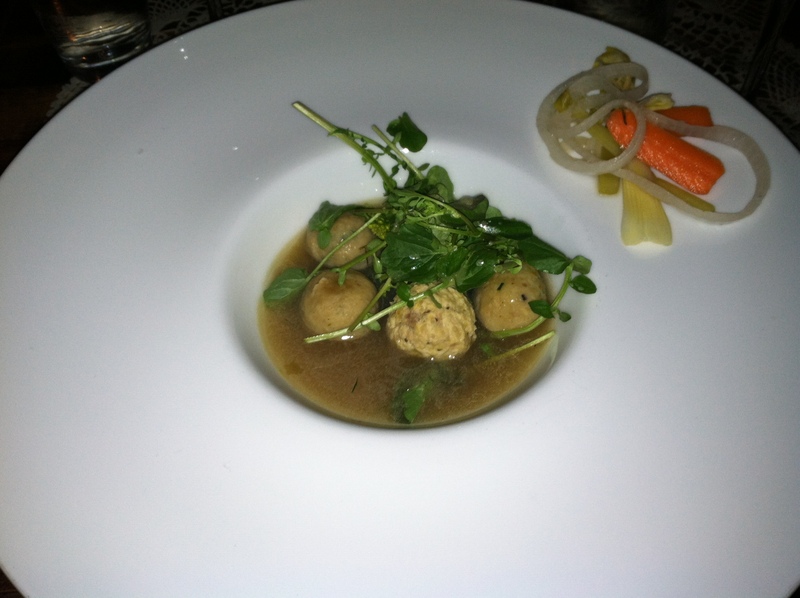 Very unusual dish – this tasted like a donut inside a noodle. I probably wouldn’t get it again, but it was interesting to try. 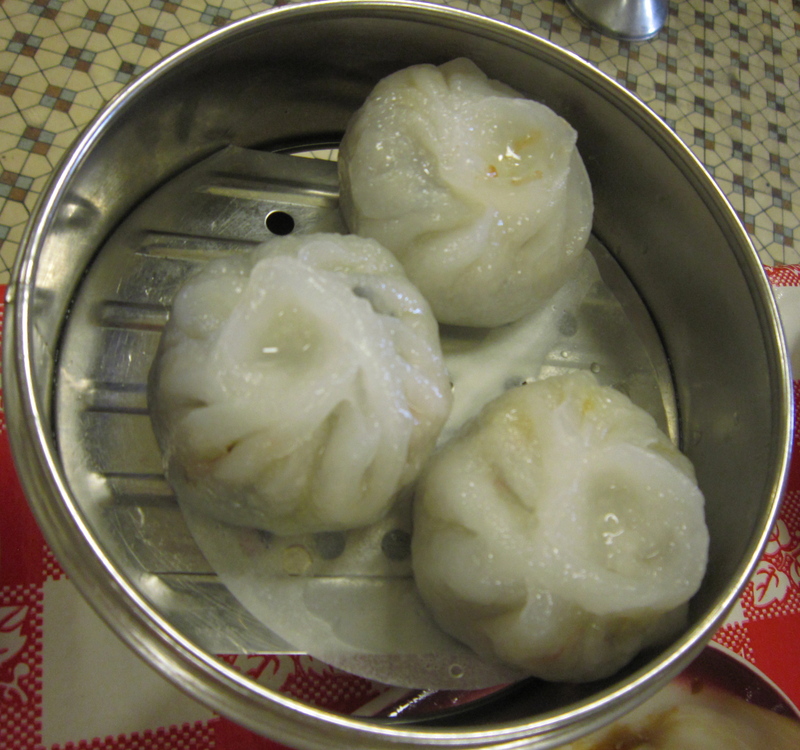 I also ordered shrimp and scallion dumplings and they were actually my favorite dish, but I forgot to photograph them. Next time I would be curious to try one of the vegetable dishes too. We also ordered jasmin tea, which was delicious and very fragrant. 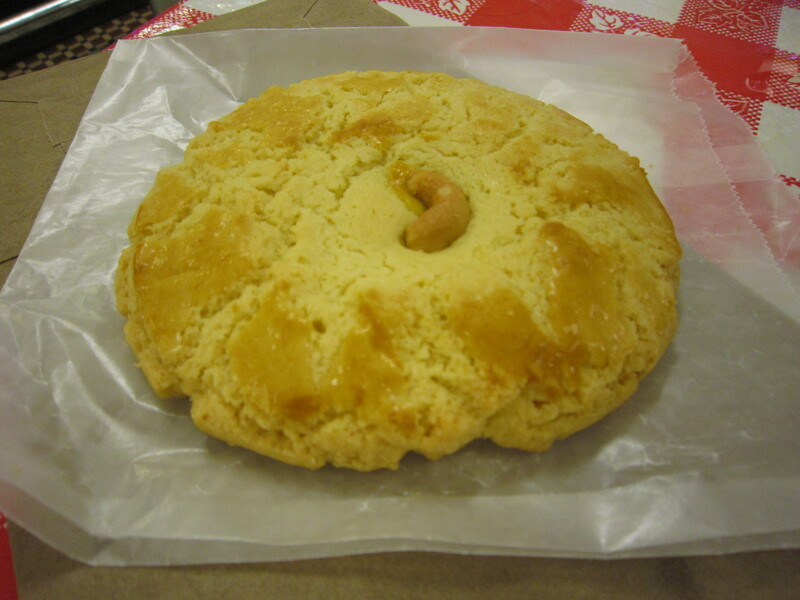 I got the famous almond cookie to go, but I ended up not liking it (I was hoping it would taste like marzipan, but it didn’t). The cookie was fresh though, so I have a feeling I just don’t like almond cookies and it’s probably not reflective of Nom Wah. 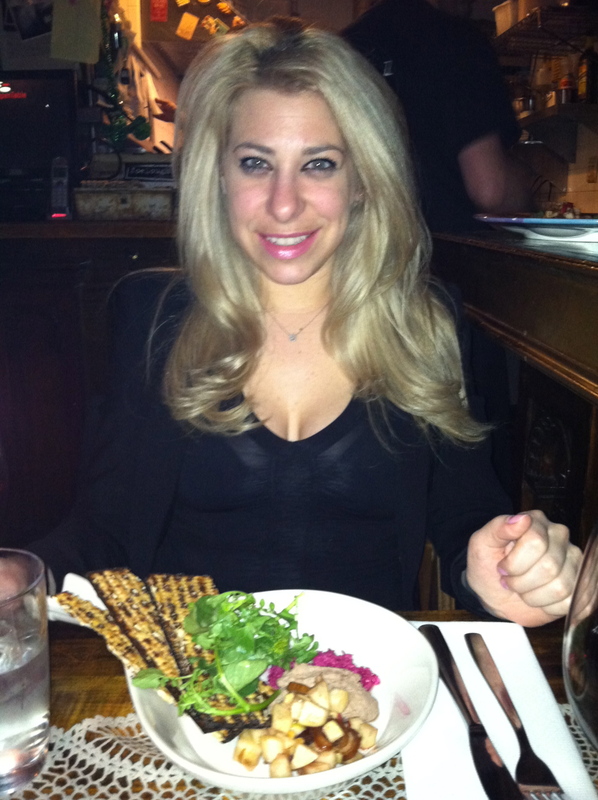 Overall I really enjoyed the meal and the old world setting. Espadrilles – the timeless summer shoe is back, year after year. Bright colors, particularly neons – extremely popular, but I wouldn’t invest heavily unless you desire to look like a highlighter. Coral dresses – this orange/red color is being shown for all dresses, from gowns to shifts. I bought a coral day dress last year at Anne Taylor Loft and I find it funny that they are selling a dress of the same color and fabric this season, but in a slightly different cut. It’s either still really popular or they bought too much fabric. Navy and white-stripped dresses, shirts, etc. – not flattering on most, but very classic and very French! Lace dresses – long and elegant or short and cute! *This post may be followed up with a street style post at some point in the future. 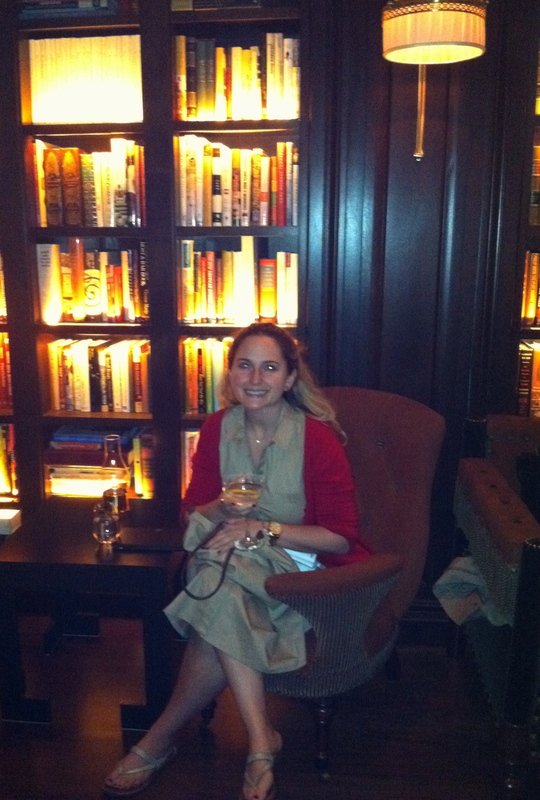 Last week I visited the NoMad Hotel, which has received a lot of great press since opening several weeks ago. First, I must say that I can’t stand the name, which is a portmanteau of North of Madison Square Park. Perhaps it’s because this area existed almost my entire life without such a name that I find it forced and pretentious. I wonder if people thought the same thing about TriBeCa years ago? 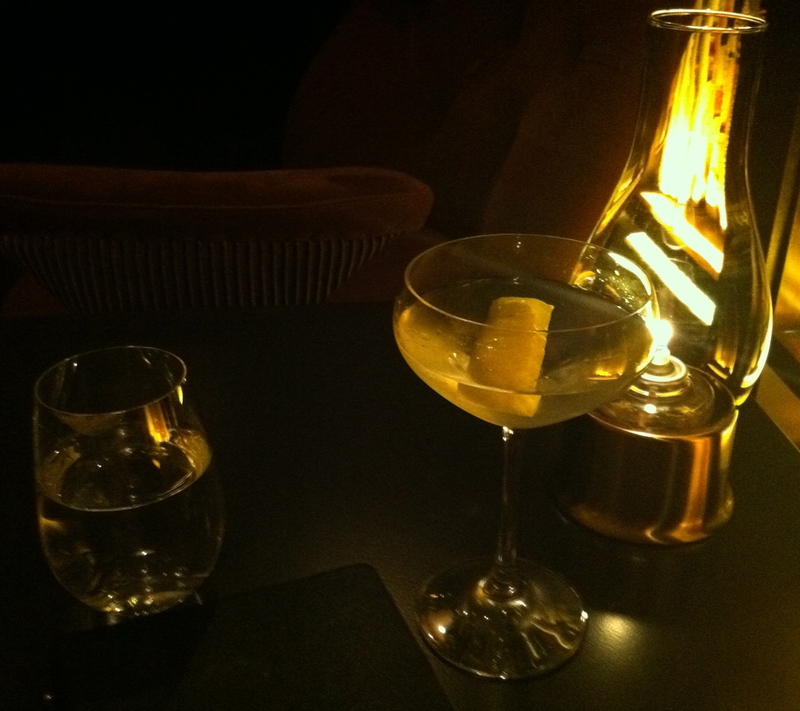 Despite my dislike of the name, the NoMad Hotel is a welcome addition to the neighborhood. Midtown between 23rd and 32nd street is a wholesale jewelry district that was desolate at night until the opening of the Ace Hotel in ’09. 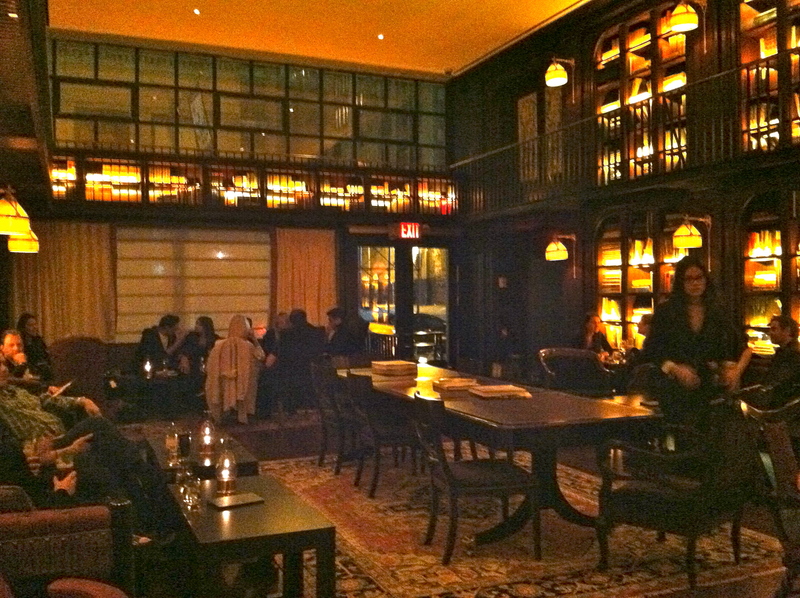 The NoMad Hotel is owned by the same developers as the Ace, but it’s more upscale and less hipster. The Jacques Garcia designed décor is “Parisian-inspired” and while I don’t find it to be reminiscent of Paris, it is quite luxurious. The hotel actually reminds me of old New York, since it’s in a turn of the century building and Madison Square Park was home to NY’s best hotels during the Gilded Age. Unfortunately my photos of NoMad’s interiors are so poor they are almost embarrassing because it was dark and I only had my iphone. Also, as I was attempting to photograph the lobby, the concierge motioned to me from across the room to stop. I don’t understand why. There were no celebrities in the room (the lobby was empty minus a seated couple who were not in my shot) and it’s not like I’m planning on copying the furnishings. I was trying to give them free press! 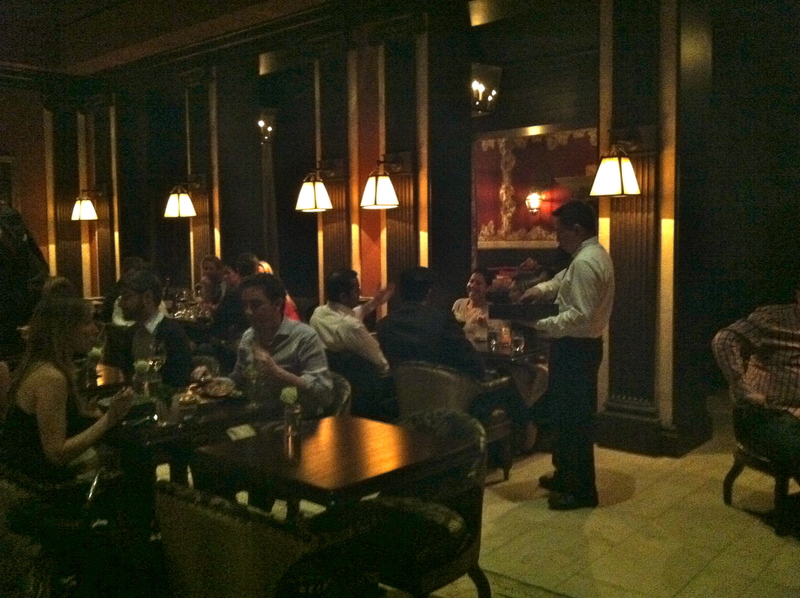 The bar and library rooms are at the back of the restaurant, which have all received rave reviews. The restaurant looks nice, but the fact they serve an $78. chicken entrée makes it a lot less interesting to me (in all fairness the chicken entrée is meant for two and stuffed with foie gras, but both of those factors only add to the lack of appeal). 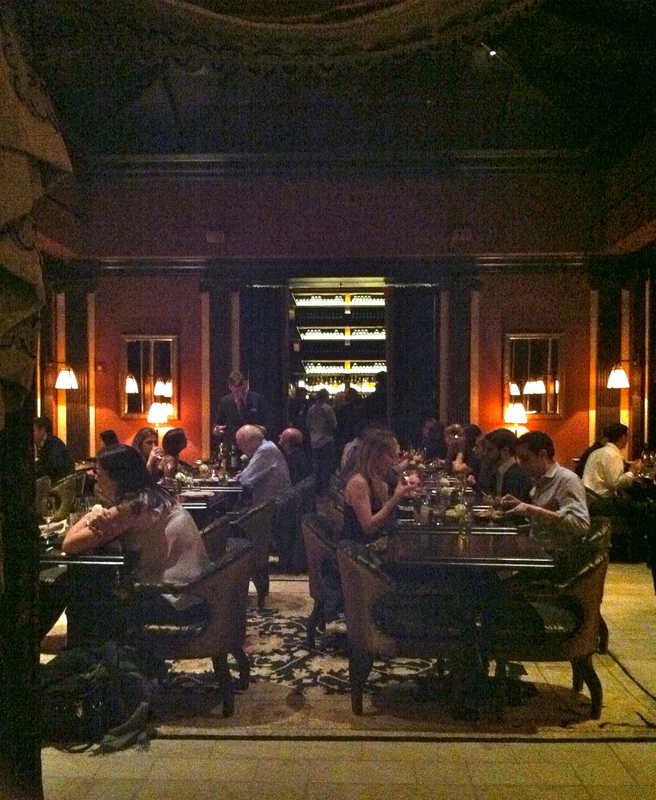 Beyond the restaurant is a mahogany bar/lounge, which was too crowded and dark for me to attempt to photograph. The next room is the library bar with table service drinks and snacks. The lovely two-tiered room reminds me of Pierpont Morgan’s historic library at the close by Morgan Library & Museum. 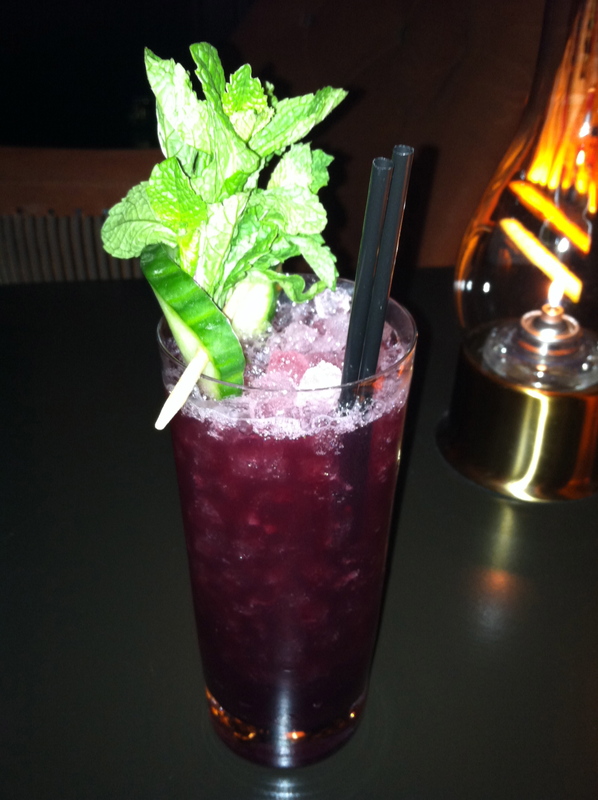 The cocktail menu is extensive with some classics and many more inventive drinks. Alcohol-free “soft cocktails” start at $8. and the prices go up, but the cocktails average $15 (if you’re outside NYC this will probably seem high, but it’s actually a bargain compared to the Rose Bar at the Gramercy Park Hotel). 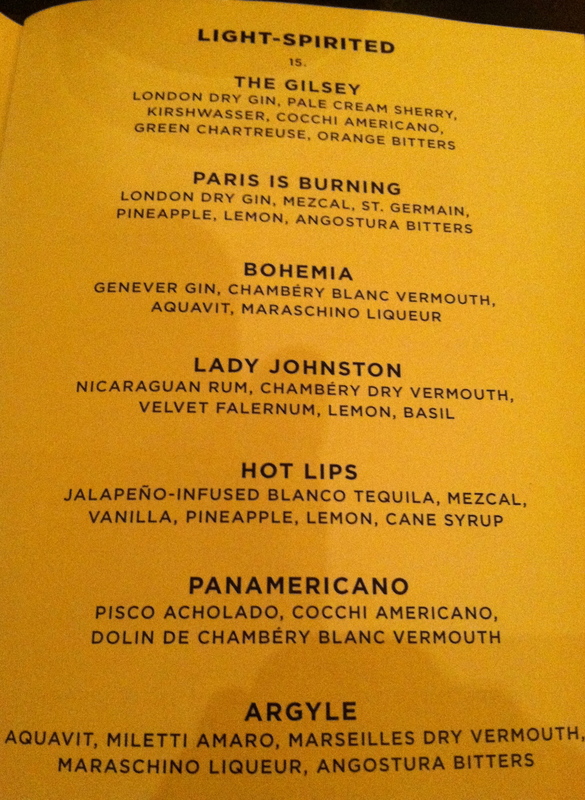 I had only just started perusing the menu when I saw the “Bohemia” cocktail (Genever gin, Chambery blanc vermouth, aquavit, and maraschino liquor). Despite having lukewarm feelings about the ingredients, I had to order it. Well, it turns out maraschino liquor is nothing like the somewhat sickly sweet maraschino flavor of my beloved childhood Shirley Temples and I ended up not liking the cocktail. I was going to drink it anyway and just call it a loss when the manager came around and asked my thoughts. Upon hearing that the drink was not what I was expecting, he graciously offered to get me another one. He returned with the Badminton Cup (red wine, moscatel sherry, maraschino, lemon, cucumber, mint), which was both pretty and delicious. I was extremely impressed with the service! Between the Ace and the NoMad, I predict the Madison Square Park vicinity might not have had its heyday yet (and that the NoMad will be impossibly packed by summer!). HAPPY HOLIDAYS! I hope everyone is having a wonderful weekend! 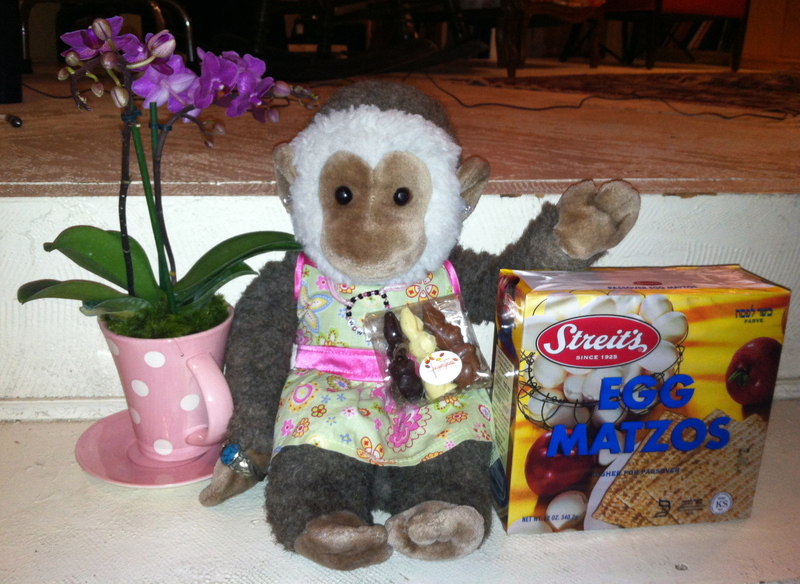 All of my favorite holiday things (chocolate bunnies, egg matzo, pretty flowers). This evening I attended a “progressive” Seder at Joe Doe, which is the first time I have ever celebrated Passover at a restaurant. For my non-Jewish readers, Passover (Pesach in Hebrew) is a Jewish holiday that commemorates the Exodus of the Jewish people from slavery in Egypt. The first two nights of the eight-day holiday we observe by holding Seders, which are meals where we retell the story of the Exodus. The first night of Passover I attended a Seder at my relative’s house. 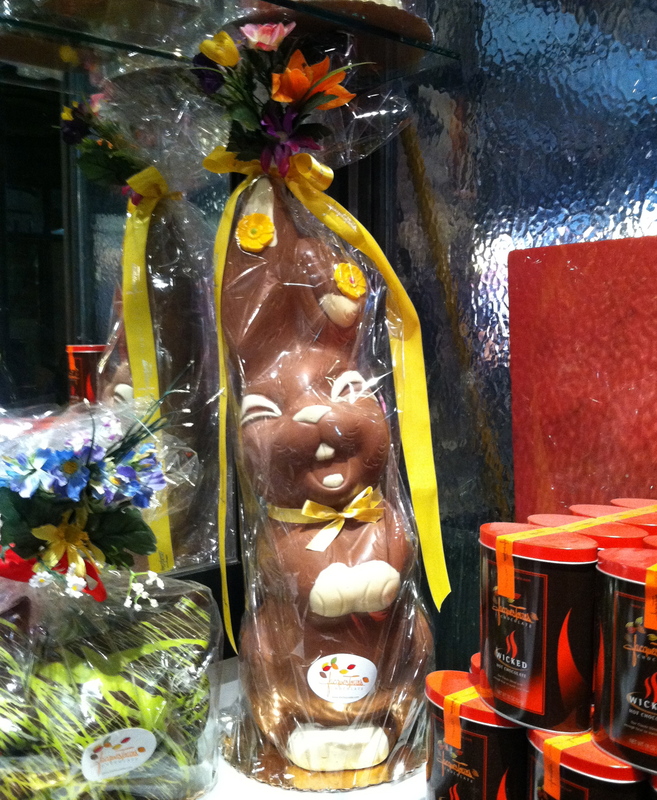 For the second night my friend Bunny and I decided to go to a restaurant together. I did some research and picked Joe Doe after reading this NYTimes article. The ironic thing is that neither of us likes traditional Jewish food much, but it felt wrong to go out for sushi tonight. The dinner was $65 per person, which is more than I usually spend on a meal, but it was a good price for four-courses in NYC and the atmosphere was great. I had never been to Joe Doe before and found it very cute. 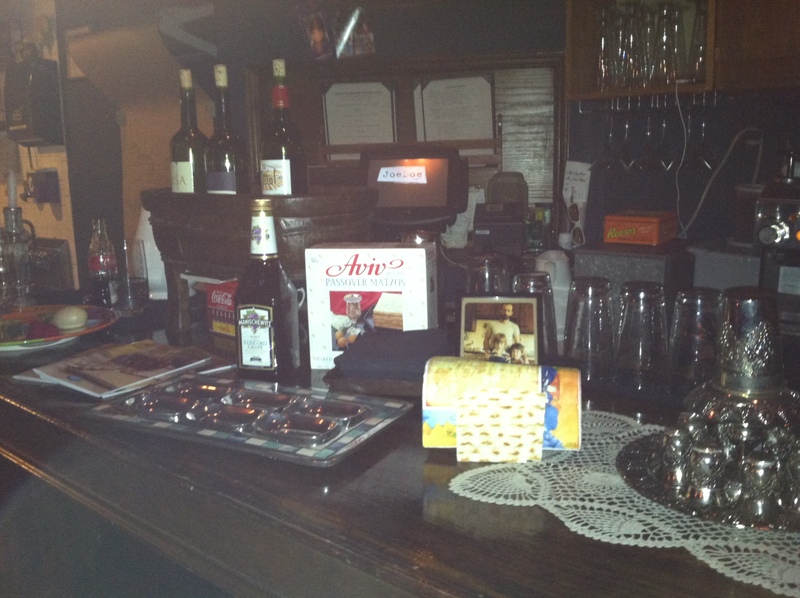 The bar was decorated with household Judaica to add a homey feel. They played a lot of traditional Jewish music, a Debbie Friedman camp song, and a couple prayer songs (two versions of the “Four Questions”). There were Maxwell House Haggadahs (Seder books) available, but it was optional if you wanted to use them. The food itself was good. It would have been nice to see more vegetables, but it veered closer to traditional Jewish fare, though presented better than I’ve seen at any home Seders. 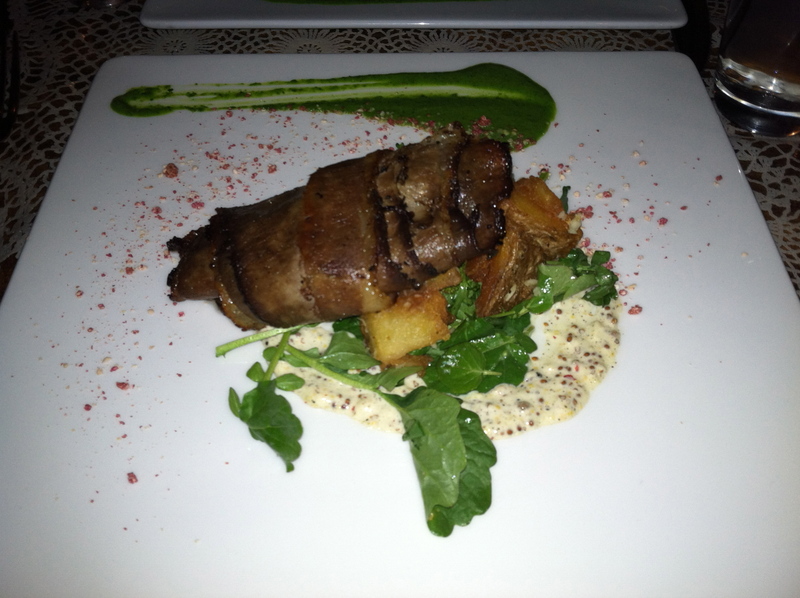 I have retyped the menu below and posted some photos of our fun meal. Third course (brisket) - sliced thinner and with more visible fat than I'm used to, the presentation was also better than I'm used to.